When you are living and working in Mexico, running a business or investing in Mexican real estate, you will need to engage with Mexico’s banks. We have published this guide to help you understand the Mexican banking system, credit and interest charges and the services Mexico’s banks provide, as well as profile of Mexico’s principal banking institutions. Mexico is well served by modern banks, and offers visitors and foreign residents a range of financial services to choose from. Banks and banking services in Mexico have expanded and improved enormously over the last decade. This guide explains Mexico’s banking system, as well as the country’s principal banks and the services they offer to foreign residents in Mexico. A by-product of the modernization of Mexico’s banking industry is the implementation of a formal credit rating system in Mexico. Mexico’s sole Credit Rating Agency, known as El Buró de Crédito, or simply El Buró, is a private organization collectively owned by Mexico’s banks. The agency has enabled credit markets—particularly credit to consumer markets and small and medium enterprises—to flourish in Mexico. The central credit agency enables Mexico’s financial institutions to share information, price credit risk, and keep long-term historical accounts of borrower’s financial transactions and behaviors. It is a foundation stone of Mexico’s modern credit system. El Buró is an agency which is loved and loathed by Mexicans and foreign residents living in Mexico. Loved because of the influence it has and the power it wields to grant a person a mortgage or a car loan. Loathed because its remit also extends to denying that loan, or even denying other things like the rental of a house or an apartment. Some employers also check El Buró to vet potential employees. The amount of interest you pay at a Mexican bank will vary depending not just on the rate, but on the way in which the interest is applied. There are also a number of charges, commissions, and taxes to take into account when working out the real cost of the credit. 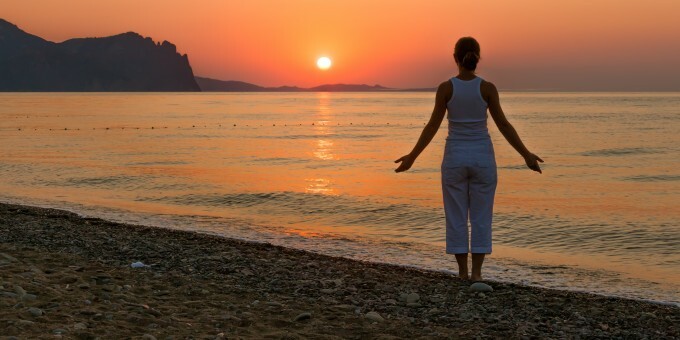 You do not need to be a Mexican national to avail yourself of credit facilities in Mexico. However, banks will usually require you to be legally resident in Mexico (showing a Resident Visa) and be able to prove your income. 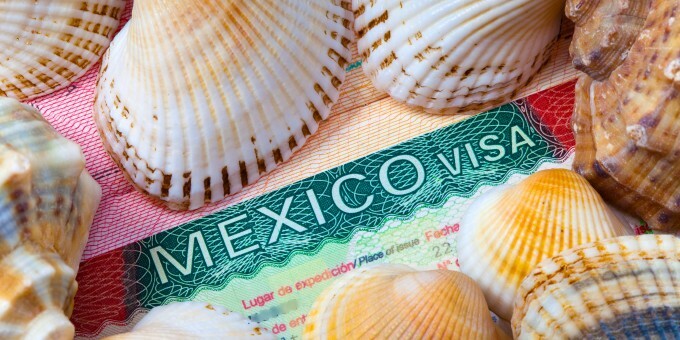 If you are a relatively new foreign resident to Mexico, you might also be asked for a bank or credit reference from your home country. Banks will sometimes open accounts without references, but in these cases, a significant deposit might be required to secure any credit line (e.g. credit card) the bank may afford you. Credit may be applied for directly from a bank or, if you are buying durable goods, the credit application may be made through the company or store that is selling you the goods. Whether you apply directly or via third party, you will need to provide references and the bank will make a credit inquiry via the National Credit Bureau (see El Buró, above). If you have recently moved to Mexico, you might be asked for several pieces of information, for example, proof of your income using bank statements, letters from a bank you already have a relationship with, a letter from your employer—or a combination of these. Banks in Mexico appear to be somewhat expert at adding on ‘value-added’ services to agreements—such as insurance policies—when you take out a credit for a car or other durable good. This means that the added service(s) (e.g. insurance premium or service guarantee) is “spread out” over the term of loan but it also means that the additional services are being priced at their cost plus interest. It’s always better to keep these extras away from the loan account. All bank charges, aperture fees, commissions, and credit interest are subject to sales tax in Mexico. Mexican sales tax is known as IVA: Impuesto del Valor Agregado (Value Added Tax). In Mexico, your real rate of interest is the CAT (see below) plus sales tax. Because sales tax is applied to loan interest, aperture charges, and bank commissions, the cost of credit—whether it is on a credit card, car loan, personal loan or other any form of non-mortgage credit—is always higher than the percentage rate quoted on any marketing literature or examples of repayment schedules. So in May 1996, the Bank of Mexico, in an attempt to make consumers more aware of the real cost of a loan, introduced a standard known as “CAT”, which stands for Costo Anual Total (Total Annual Cost). The CAT must now be shown on all marketing and sales literature related to a loan. Often, the CAT calculation can add between 10% and 50% per year to a headline interest rate. It has gone some way to helping consumers understand the true cost of credit, but omits the sales tax added to interest payments, so the “real” cost is actually higher even that the CAT calculation. Mexican banks will open accounts for individuals in Mexican Pesos. (Only businesses may hold US-dollar currency accounts at banks in Mexico.) Different products are available for different uses and the charges vary enormously. Check the bank’s web sites for the latest product details as well as their charges and rates of interest. The principal financial services offered by Mexican banks are listed below, along with some notes when considering use of the service. All of Mexico’s principal banks offer Internet access so that their clients can manage their financial affairs online. Some of the banks have a long-winded process to open an internet access account, but once the internet access is granted, it can make your banking chores much easier as there is no need to line up to pay bills and transfer funds from different accounts. Lines a banks in Mexico are, generally speaking, long—and very long on pay fortnights (every 15 days). Internet access enables you to pay all major bills (e.g. telephone, electricity) as well as transfer funds between accounts held at Mexican banks. Internet access may be offered free with the account, or an additional charge might be levied for its use: check with your bank for details. Recent legislation required all Mexican banks to offer a “basic” bank account: known as a Cuenta de Nómina (payroll account), these accounts are intended for receipt of wages or salaries; they must not charge fees or commissions, and provide the account holder with an ATM / electronic payment card so that funds from the account can be accessed in cash or at shops. Every retail bank offers a checking account. In Mexico, these often require a minimum deposit to be made each month to keep charges low. Banks usually give a limited number of free ATM withdrawals per month; thereafter a commission, based on the amount withdrawn, is charged to the account. Deposit accounts where the money may be withdrawn ‘on sight’ (no notice required) are usually accompanied by a plastic debit card for use in ATMs and some retail outlets, usually world-wide. These accounts have an aperture fee, and require a minimum balance to be held on account (usually around $1,000 pesos) and pay a paltry rate of interest. If the balance goes below the minimum, a fee is applied each month, usually about $100 pesos (plus sales tax), until the account balance is restored to the minimum. All major banks offer mortgage products. Mortgages come in all shapes and sizes in Mexico: some offer discount or “teaser” interest rates, with higher rates after an initial period; some offer lower aperture fees in return for higher interest payments and vice-versa. For detailed information about mortgages in Mexico, read the Mexperience Guide to Financing Mexican Real Estate. In recent years, banks have created specific products for the financing of automobiles and commercial vehicles in Mexico. The loans are some of the most competitive in Mexico and are sold through dealerships or direct from the bank. Car loan agreements often package-in the car insurance policy as well as other ‘extras’ you may purchase; is is best to pay these separately if you can afford to do so and if the terms of loan allow it. The credit card market in Mexico began to take off significantly from around the year 2000. Mexicans and foreigners living in Mexico have willingly taken up the offers of widespread and abundant credit. Many stores offer 6 or 12 month interest-free credit deals through credit card companies on certain goods and services. In these cases, the good or service is charged to your credit card by means of six or twelve monthly charges, equal to the purchase price with no interest added. Beware that missed payments may incur penalty charges and may void any interest-free arrangements you have in place. 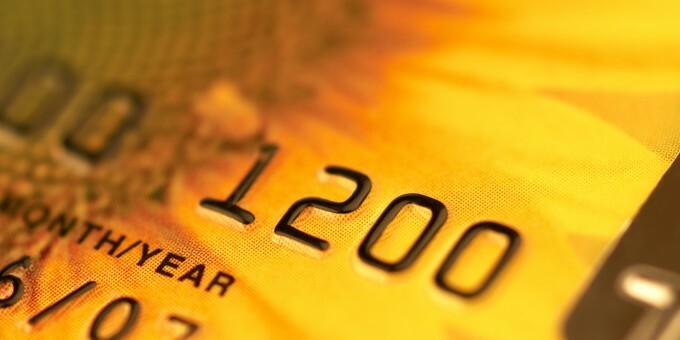 Interest rates on credit cards in Mexico are high by US, Canadian and European standards. Rates of 50% (per year) are not uncommon. Credit cards (and store cards) are the most expensive means of borrowing money from banks in Mexico. Although all banks offer foreign exchange services, they may not be the best place to change your currency. Read the Mexperience guide to Money in Mexico: Banks and ATMs for full details. For individuals with high salaries, or people known by the banks as “high net worth individuals”, Mexico’s banks offer a range of private banking services which include preferential rates for banking and credit services as well as asset and investment portfolio management services. If you are living in Mexico and are earning a significant amount, or plan to move or retire to Mexico with significant assets, Mexico’s banks have an entire infrastructure of staff and services ready to service your individual requirements. Check individual web sites for details under the sections entitled Banca Privada. All Mexican banks are agents for government-approved pension products known as AFOREs. AFOREs (similar to the 401k in the USA) provide a tax-efficient savings vehicle, whereby an employer, an employee, and the government each contribute into a tax-efficient savings pot which is then invested into equities and investment funds on a list of approved by the financial authorities. All formal jobs must, by law, have an AFORE scheme in place. Note that the value of AFOREs will rise and fall depending on the performance of the Mexican Stock Market. Fund Managers make an annual charge for managing an AFORE, regardless of the performance of the fund; people are free to move the AFORE from one fund manager to another within certain parameters and time-scales as set out by law. AFOREs are open to Mexican nationals and foreigners legally resident in Mexico. If you plan to run a business or become self employed in Mexico, Mexican banks offer a range of services specifically tailored to SMEs (Small and Medium Enterprises). Services include corporate credit cards, corporate payment and procurement cards, payroll services, and loans for commercial vehicles and commercial property. Business charges and rates are usually higher than charges and interest rates for personal customers. This section contains a list of Mexico’s principal banks and a brief overview of them, based on current information we have about them. Previous Banamex, Short for “Banco Nacional de Mexico”, now Citibanamex is owned by CitiGroup, the US Banking giant. When the bank was bought by Citi, it underwent a slight re-brand with a mix of the old Banamex logo and current CitiBank colors, and later on the bank renamed Banamex to Citibanamex. Lines are often very long at Citibanamex branches, despite their electronic ticket/rota system. Citibanamex has one of the largest branch networks in the country and is also an agent for Western Union money transfers. The British banking giant, HSBC (Hong-Kong Shanghai Bank of Commerce) bought the Mexican bank formerly known as Bital and immediately re-branded every branch to its HSBC brand. HSBC claims to have the largest branch network of any bank in Mexico (inherited from Bital) and it was also the first bank in Mexico to open very extended hours (until 7pm at some branches); it was also the first retail bank to open its larger branches on Saturday mornings. The other banks have since followed suit and extended opening hours: a far-cry from the 80s and 90s, when banks closed their doors to the public by 1pm. Longer opening hours have also helped to ease the waiting time in lines at banks in Mexico: before, when all banks closed by lunchtime, extremely long lines were part-and-parcel of the banking experience in Mexico. Thankfully, those days have passed. Previously known as Inverlat, the bank was bought out by the Canadian banking giant Scotiabank and promptly re-branded in the new parent’s image. Judging from reviews and internet bulletin boards, this seems to be a popular bank with foreigners. Scotiabank’s branches are well represented in all major towns and cities but the bank does not have the breadth and depth of branch network reach as Banamex, Bancomer, and HSBC. Santander is a Spanish-owned bank. Like Scotiabank, it does not have the branch network reach that Bancomer and Citibanamex have, although their branch presence has been increasing in recent years. They also have an extensive ATM network that is present in many shopping centers and supermarkets. Banorte is a wholly-owned Mexican bank. It has a substantial branch network across the whole of Mexico and prides itself, through image and advertising, on being the only remaining bank that is wholly Mexican-owned. It does not appear to proactively advertise to the foreign / expatriate community as other banks do (especially BBVA and HSBC, who are often seen in magazines and newspapers aimed at foreigners). Banco Inbursa is owned by Grupo Carso, Mexican billionaire Carlos Slim’s principal investment vehicle. It has ATMs and branches at Sanborns and Sears stores and offers a wide range of of financial services including credit cards, car loans, insurance services, deposit accounts and AFOREs – all of which it promotes and sells through the retail outlets owned by the group. Banco Azteca was Mexico’s first bank to be based in a retail setting, with branches at Elektra retail outlets. Its primary purpose is to offer credit to customers purchasing durable goods at its stores. Banco Azteca is owned by the same group that owns TV Azteca and is also an agent for Western Union money transfer. Wal-Mart de Mexico received permission from the Mexican financial authorities to open its own bank in Mexico in October 2007. The bank has since been bought-out by Grupo Carso, the conglomerate that owns Banco Inbursa (see above), but continues to operate under the Wal-Mart brand. Buró de Credito – Mexico’s National Credit Bureau online.